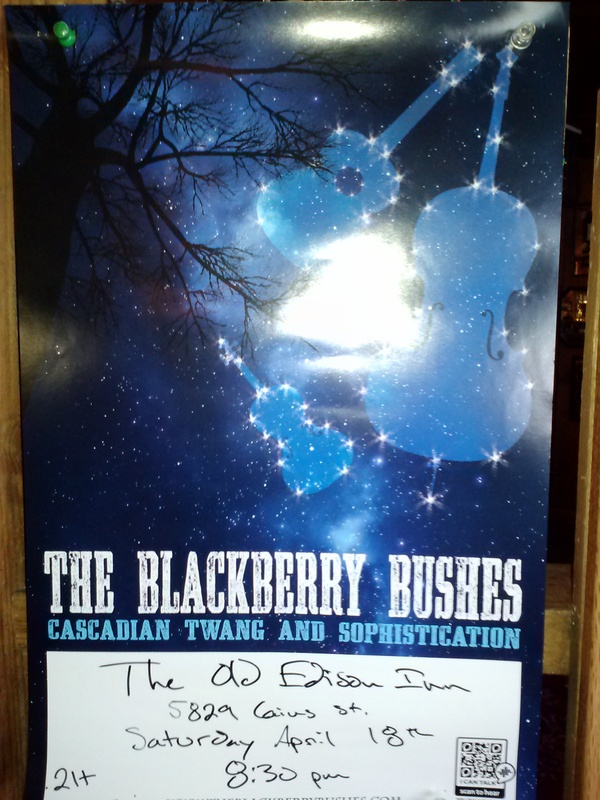 Seattle’s foremost stringband The Blackberry Bushes make their Edison debut tonight at 8:30pm! Bring your toe tapping dancing shoes! ← Like beer gardens? Like steak and seafood?